A certified copy of a county record is NOT appropriate. Only the Oregon Center for Health Statistics can issue a true, current vital record. Most county records cannot be authenticated. 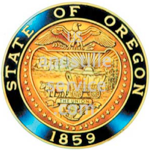 When you need an Oregon high school or college transcript or diploma apostilled, you must have the person in charge of the records (normally the Registrar) certify to the record in the presence of the notary, who then notarizes that statement. Statement by school official (principal/registrar) as to the authenticity and type of document being notarized. Signature of the school official. 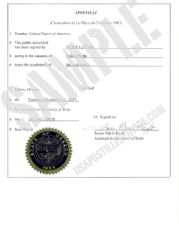 DOCUMENT MUST BE SIGNED IN THE NOTARY'S PRESENCE! Statement by the notary indicating who signed the document and the date the document was signed. Signature line for the notary. Clear and legible imprint of the notary seal/stamp with the notary's name, commission number and expiration date on it.